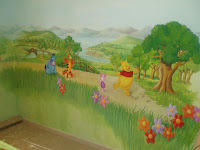 A mural of Winnie the Pooh for a boys bedroom. 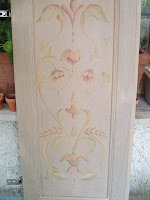 One of the panels for a cupboard. 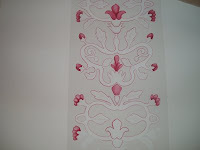 Hand painted panel in a bedroom.